Teaching kids time is not an easy task. While everything seems obvious to us, it is quite difficult to explain to our children. They could not understand seconds, minutes and hours and what time means. It was until Teddy went to school and learned everything with Flik and Flak thanks to his amazing teacher. It was easy and fast as Teddy explained and Flik & Flak were fun to learn with. 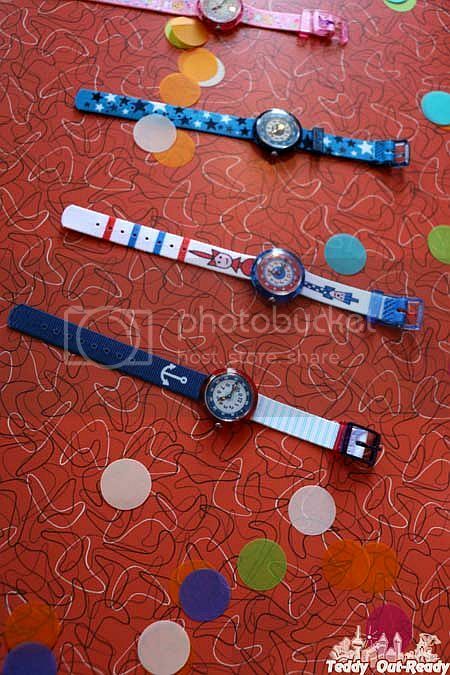 Flik Flak is the world’s favorite children’s watch. And Flik & Flak are characters who helping kids learn and tell the time. They find seconds, minutes and hours incredibly exciting. With Flik and Flak you will discover just how easy it is to know everything about the time. Flik and Flak are siblings. Flik is the big brother with very long legs and Flak is the clever little sister. 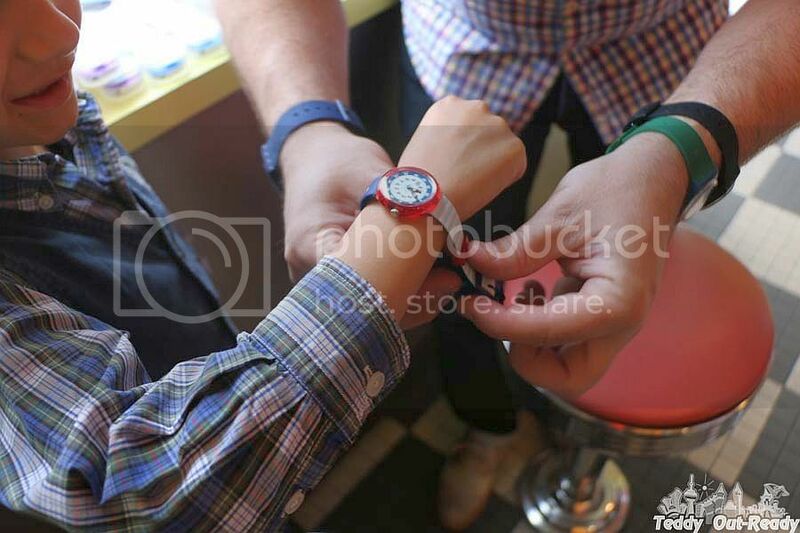 Both of them love watches but, most of all, they love helping others to tell the time correctly. Flik has the job of showing the minutes. He takes a step forward every 60 seconds. After he has been round the whole watch face once, an hour has passed. Then it's Flak's turn: she jumps forward to show the next full hour. Since 1987, Flik Flak creates Swiss made watches for kids that help them to learn to tell the time so that they find it interesting and fun. 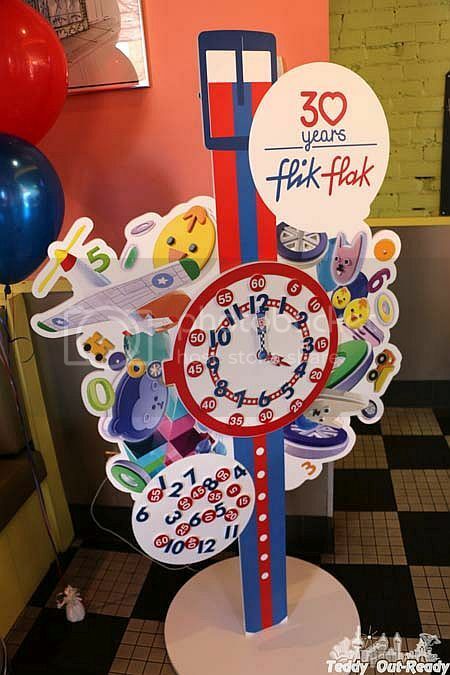 This year Flik Flak celebrates 30 amazing years being best time friends with kids and we were happy to join the celebration in Toronto. 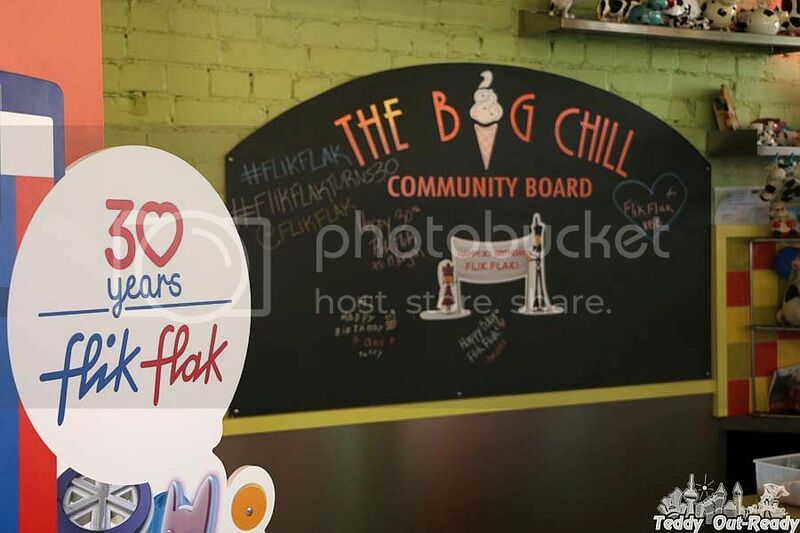 The Flik Flak party was hosted at The Big Chill. Everyone knows that kids love ice-cream. 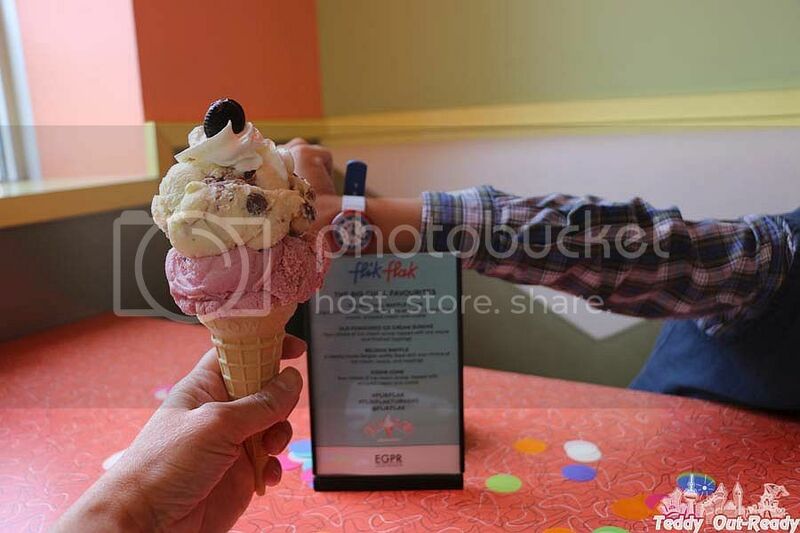 We were treated with a wide selection of flavors so hard to choose from with desire to try them all. What a party without balloons and party favors and Birthday activities! 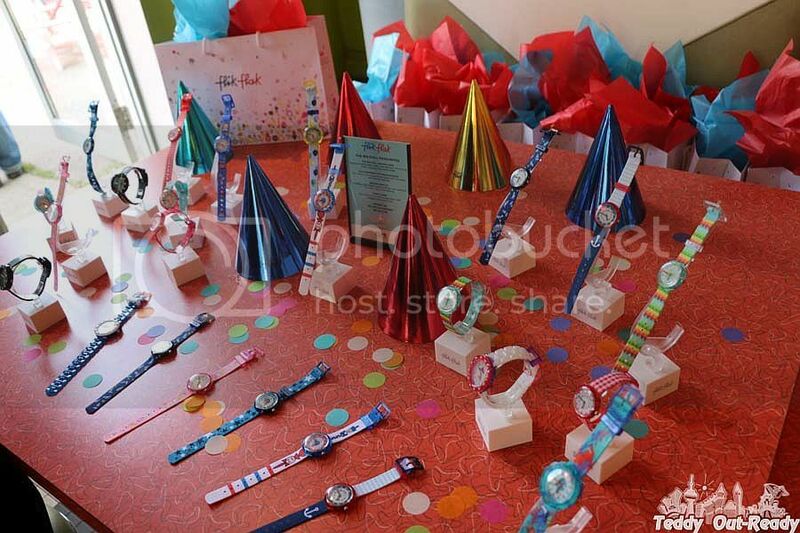 At the party we had a chance to view the Flik Flak collection of watches and even try on some of them. With Back To School around the corner kids definitely needed watches to learn how to manage their time at home, at school and other places where they play. The Big Chill has a fancy Community Board where everyone wrote their best birthday withes to Flik and Flak, saying thank you for helping learning time and being best children friends. We were also introduced to Telling The Time with Flik and Flak. This app was developed in co-operation with teachers and educators to playfully teach children how to read time. Step by step, they learn how to read the numbers, hours and minutes as well as how to tell the time. It is really great application, Teddy already had it before the party and I agree that it helps a lot. It is free to download and has various funny games and activities. Kids will love to check them out. Flik Flak watches are all Swiss made, they are shock-resistant, what is good for playground activities and water resistant up to 3 bars so at splash pad children know that it is time to stop and take a break. Flik Flak watches are machine washable and can survive a normal 40°C cycle. Available on-line and in Swatch store across Canada, Flik Flak watch makes not only a wonderful gift to every kid but also an essential item to help them learn time and help in daily activities. We are happy to say Happy Birthday to this dedicated to kids brand and wishing many successful years in Canada.